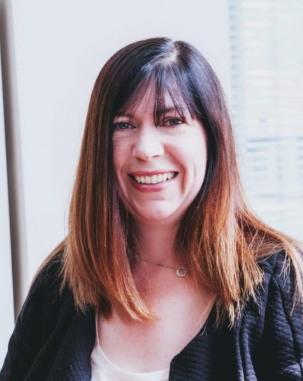 We meet Amy Hobson, Social Media and Digital Marketing Training Partner at SocialB, experts that recently supported the VISA Great British High Street Campaign. Amy, you’ve worked with a lot of retailers of all sizes - what have you seen as the biggest change in the way they use social media over the last five years? For the majority of smaller retailers there hasn’t been enough change and that’s part of the problem. Whilst larger retailers continue to embrace social media and digital marketing in general, and are using it in all kinds of different and innovative ways, smaller retailers are either reluctant to get more involved or find it difficult to commit the resources to it that are needed to make a difference. I think over the last few years the gap between large and small retailers on social media has increased and that’s a real shame. Small businesses have the same access as big businesses for the first time in years but many fail to really benefit from that because they are scared to use it or see a divide between digital and bricks and mortar. 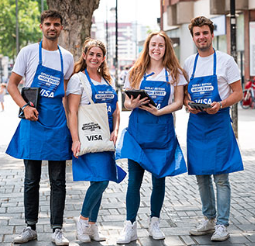 You’ve recently supported the VISA High Street Awards - what was the feedback you got from people on the street about shopping locally? The majority of people that I spoke to in the different towns and cities that I visited were supporters of the high street and shopping locally but even amongst supporters there was a general understanding of the difficulties that retailers face. The high streets that were thriving were the ones that had instigated change and were working really hard to attract locals back. This was a combination of not just retailers but changes to the environment and to the mix of businesses. If a consumer can potentially buy the same product online why would they make the effort to travel to a town? Inevitably there has to be something in it for them whether that’s the social aspect of combining good food and company with the retail environment, the combination of independent and national retailers, the product choice available or a combination of all of those things. "There are very few businesses that should or need to have a presence on all of the different platforms." What advice would you give an independent who may not feel it is using social media to its full capacity? The advice I would give is that it is worth making the time to use it but only as long as your customers are using it as well. Very often businesses “fall into” using social media - it’s free so why not use it? The reality, however, is that each platform works differently and is likely to have a different audience. As a small business owner, with limited time available, you want to get the most out of it so research first to find the right platform and then dedicate the time to build it. It doesn’t need to be arduous but does need to be regular and planned. What platforms have you found work best for retailers or does it depend on sector, size of company and so on? It really does depend on where business customers are “hanging out” on social media. Research the platforms first, ask your customers which platforms they are on so you can make a decision which is more likely to work for you. There are very few businesses that should, or need to have, a presence on all of the different platforms. "Schedule the bulk of your content in advance so that it takes the pressure off when you are in your busiest selling period." What three tips would you give to independent retailers when using social media around Christmas and sales time? 1. Plan ahead. If you know you are going to be busy at Christmas (or any other period) then plan and schedule your social media ahead. Don’t just schedule, as that makes you very unresponsive, but you can schedule the bulk of your content in advance so that it takes the pressure off when you are in your busiest selling period. Do this either through the individual platforms or using third party applications like Hootsuite. 2. Get involved. If your audience is talking about what’s happening locally then you should be as well. Start conversations on social media, share local events and other business information (non-competing ones obviously) and be a part of what is happening. 3. Use a variety of content. How we consume information has changed over recent years and social media has changed with it. A successful page will usually use a combination of text, videos, images, live, etc. We're read that it’s good to spend around 15 mins a day commenting on other people’s posts and blogs - does this really have a rewarding effect? One of the questions I am asked most frequently is “How often should I be posting?”. Unfortunately there isn’t a one size fits all answer or a set formula for the magic number. What we do know, however, is that regularity and consistency does make a difference. Avoid very active and then very quiet periods as none of the algorithms respond well to that kind of irregularity. It shouldn’t always be at the same time or on the same day each week but you should have a regular amount you are posting without large gaps in-between. You’ve said that it’s important for bricks and mortar retailers to take advantage of local events and communities - how could they work this into social media? If something is happening locally and your local audience are talking about it then you should be talking about it as well. You need to have conversations with your existing and potential customers and talking about local news and events can be part of that. Supporting other local information can bring you to the attention of others and also means that your posts and information are more likely to be shared by other local businesses. It’s been suggested that bricks and mortar retailers often make the mistake of trying to sell on social media. What’s the best way to approach customers? Users don’t go onto social media to be sold to so just selling your products or services on social media rarely works. When time is limited or there is no plan in place the temptation for many small retailers is to just talk about their products and why people should buy them. The important part of social selling, however, is the social part of it. If a customer came into your store you wouldn’t walk straight up to them and tell them to buy a product so don’t do it on social media either. How do retailers find out the best platform to engage with their existing and future customers? Before you can know which platform will work best for you you need to have an idea of who your super customers are. This might sound obvious but many business owners lose sight of this. Once you know who they are then research where they are more likely to be found on social media. A simple google search asking for demographic information is a good starting place but don’t forget to ask your customers. You can have the best Facebook page in the world but it's a complete waste if your audience are mainly on Instagram. Would it be worthwhile investing in adverts on social media and if so which platforms work best in your opinion? It can be worthwhile to advertise on social media but it needs to be planned out. Firstly the best platform is always going to be the one where your customers are most likely to be. Secondly each platform has a different level of targeting available so you will need to modify your approach if you are planning on advertising on more than one. Whichever you use, you need to know your audience so that you can target them properly and not just how old they are, whether they are male or female or where they live but also, as well as your products and services what else are they interested in.